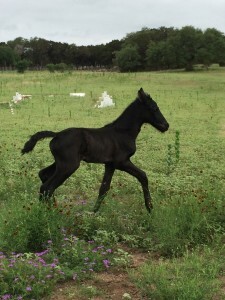 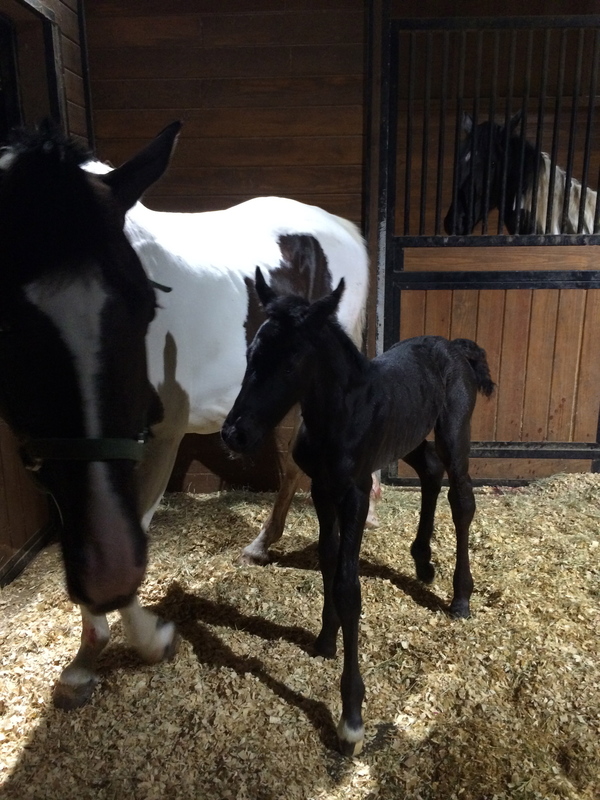 Coco Chanel is a beautiful Smokey Black Friesian Sporthorse Filly – Sired by WEF’s World Champion Friesian Stallion, Wyn de Pluum WEF and out of our lovely Smokey Black and White, 1/2 Thoroughbred and 1/2 Trakehner Mare, Mocha & Cream. 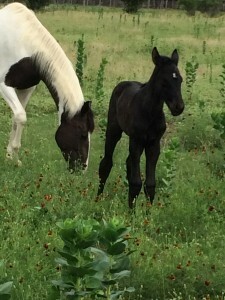 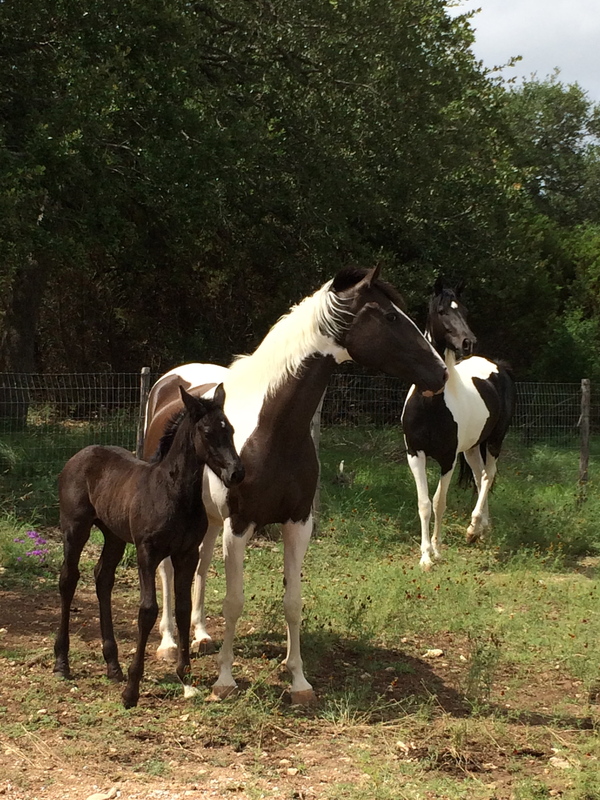 Coco, like her dam and sister, Noir, also carries the recessive color gene allowing her to throw additional colors to her foals. Coco’s color is Smokey Black, which translates to a deep, dark and rich brown/black color. At 3 years, she stands approximately 15.2H, we anticipate she will be a very tall and beautifully leggy girl! 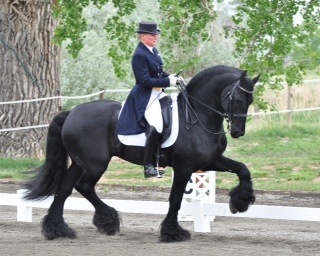 She moves with ease and grace of her lovely Dam and has the bold confidence and movement of her World Champion Sire. 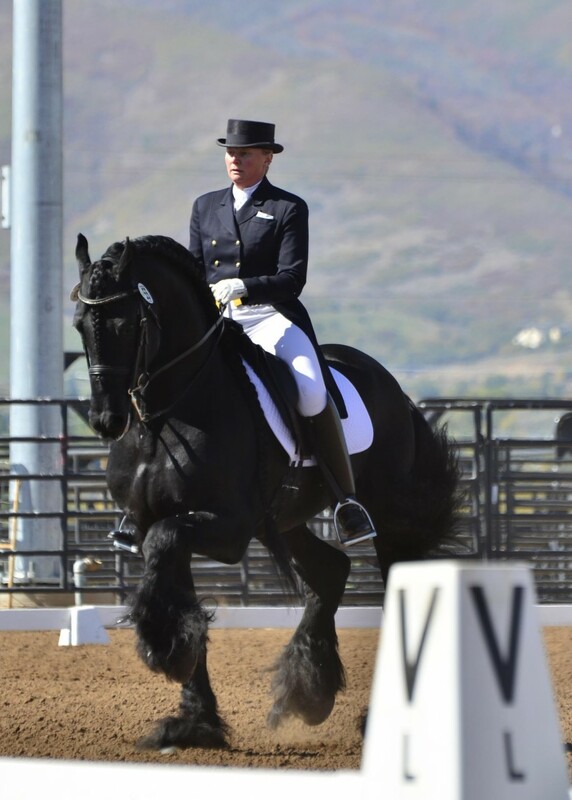 She has great potential in the dressage arena, as well as a great mount out on the trails for which she is now in training. 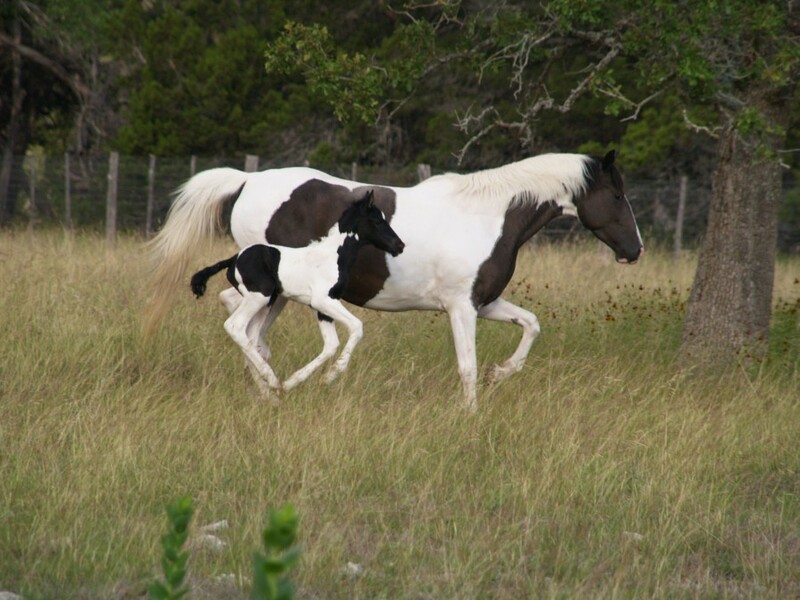 Coco as a foal…MORE UPDATED PICS ON THE WAY!